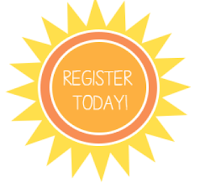 Consignor Registration NOW OPEN Spring Sale in Arlington Heights March 1st-3rd--ONE WEEKEND ONLY! Have you shopped our Spring Sale? If you haven't, you still have time! The best deals are on Sunday, DISCOUNT DAY! Come stop by from 10am-3pm and grab some AMAZING deals. 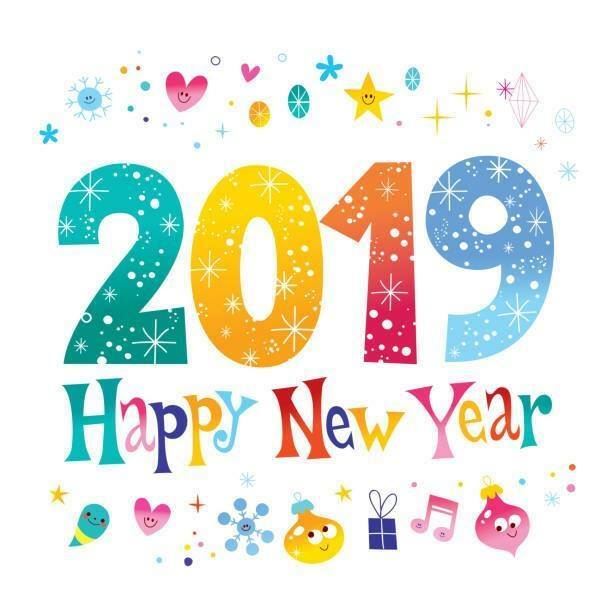 It's our last chance to clear our inventory and most things are 1/2 OFF! Make sure to stop by BEFORE 3pm! Look for the Discount tags! Consignors: Let's get that inventory entered! Only 6 more days to enter inventory! SOOOOO Excited! It's going to be the BEST sale EVER! Are you a new or expecting parent? We have a special PreSale just for you! A big THANK YOU for spreading the word about our valet service! Our tagging team will be VERY busy preparing the thousands of items in the next 42 days! Interested in becoming a Valet Consignor? CLICK HERE! The Schedule for Volunteer Shifts & Drop Off Appointments will open February 4th. We will now accept Old Navy clothing. 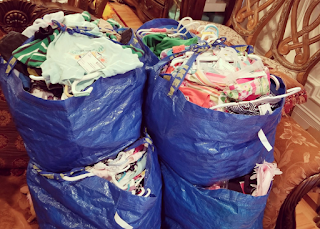 We will NOT accept bedding sets (nursery or child). CRIB BUMPERS are NOT accepted. Please remember--Clothing (including maternity) MUST BE CURRENT STYLES (no older than 5 years old). Shoes WILL BE REJECTED if they are not in excellent condition. SEASONAL CLOTHING ONLY--For our Spring Sale, we WILL NOT accept heavy (cold weather) clothing. These items will be rejected during Drop Off. Please save your lined jeans, heavy sweaters, gloves and winter jackets for our Fall Sale. Pick up of unsold items AND CHECKS will be MONDAY, March 4th. Morning and evening times offered. 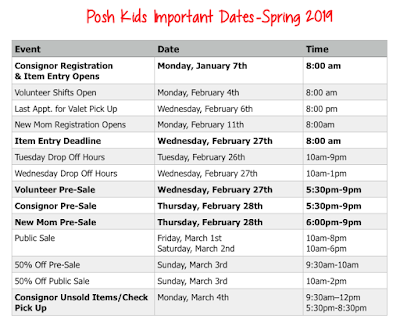 Posh Tots Consignors--REGISTER TODAY--No Need To Retag! 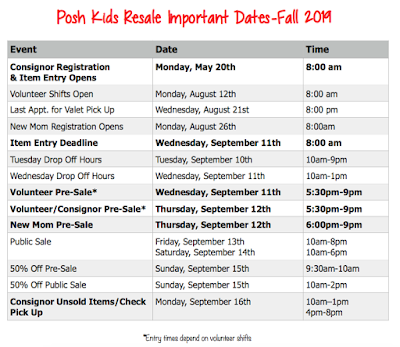 Did you know that your Posh Tots tags will work at Posh Kids Resale? 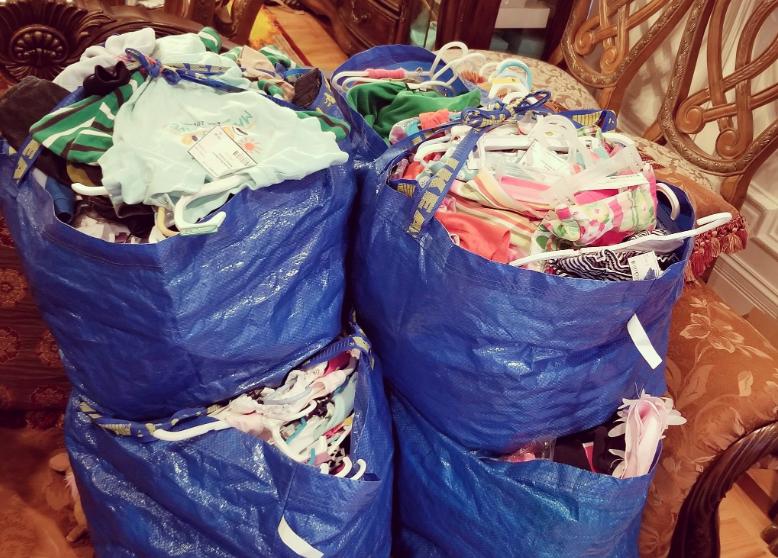 No need to retag all your unsold items! 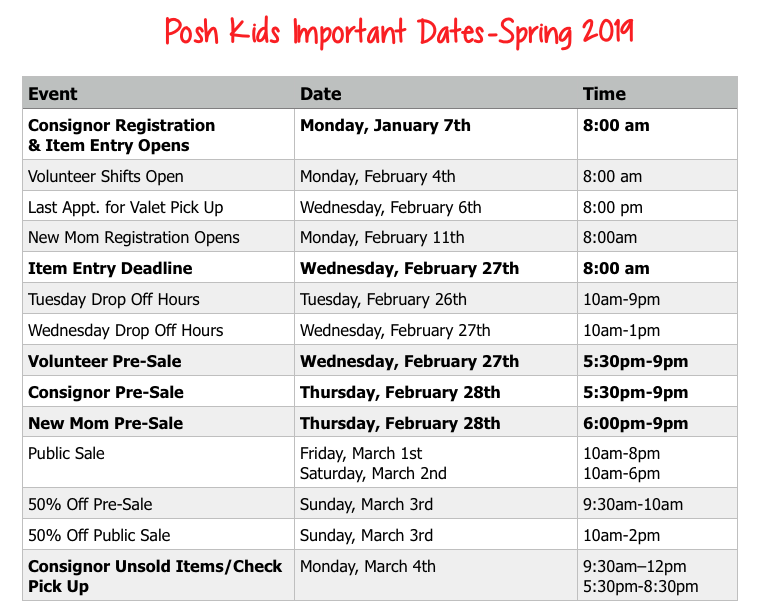 Posh Tots' consignors, register with your Posh Tots consignor number and all your inactive inventory is in our system! 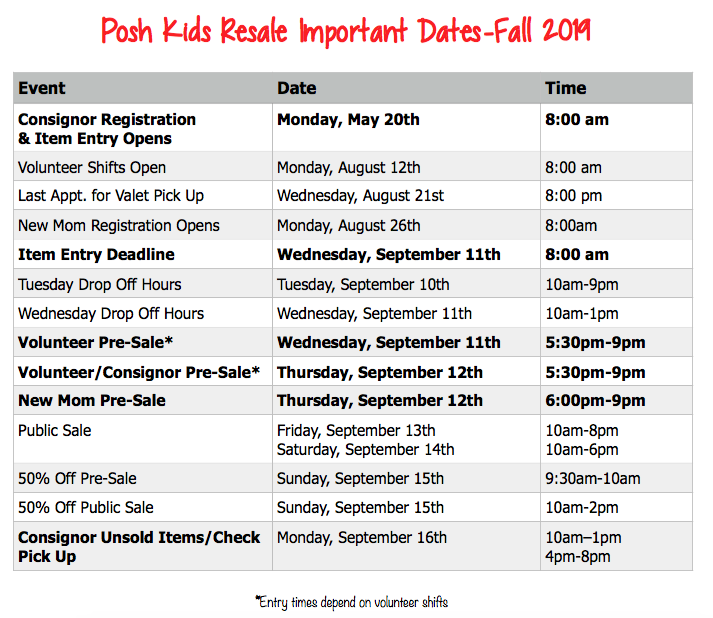 For all your tagged items from past Posh Tots' sales, simply reactivate your inventory and bring your items to Posh Kids Resale. Seamless transition! 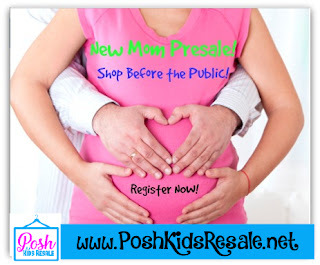 Posh Kids Resale LLC (2018). Simple theme. Powered by Blogger.